For some reason lately I’ve had leeks on the brain. I’m not sure why, I think I associate them with Spring. This recipe is an instance where I started with one ingredient (said leeks) and built a whole dish around it. 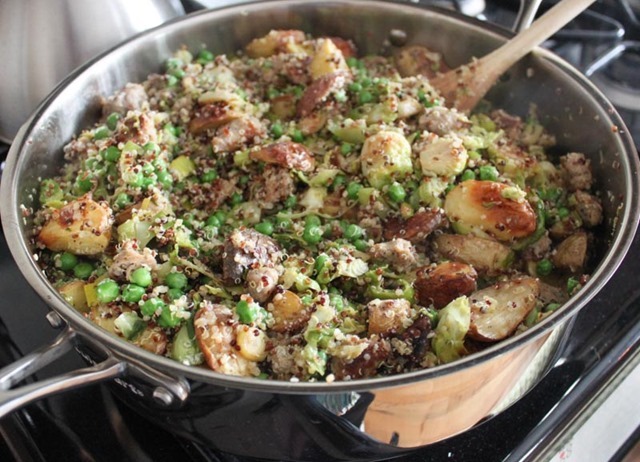 I knew I wanted to combine the leeks with some kind of potato and sausage, and maybe throw in a grain. I just went with it and ultimately this hash was born. 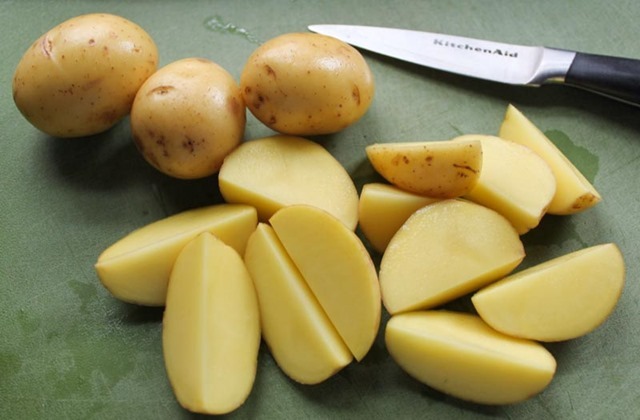 Start by prepping the potatoes. I roasted my potatoes separately rather than include them in the same pan as the hash because I find potato cooking times to really throw off a regular sauteed dish. I prefer to roast them separately that way I can control their doneness and not compromise the rest of the vegetables. Scrub, pat dry, and quarter the potatoes. 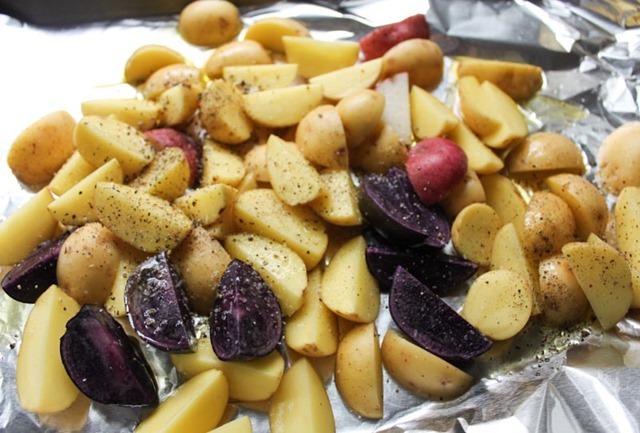 On a foil lined baking sheet, toss the potatoes with 1 tbsp. of EVOO, salt, and pepper. Make sure each piece is coated. 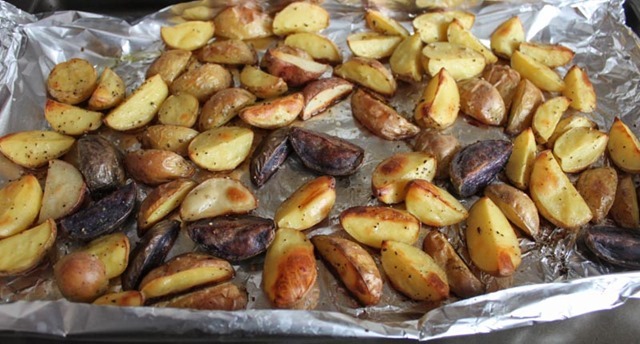 Roast the potatoes on 350 degrees for 1 hour until tender and golden brown. 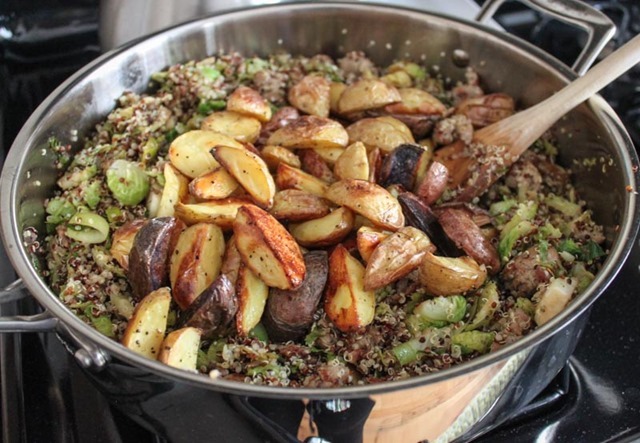 While the potatoes are roasting, the rest of the dish can be made. Start with the leek. 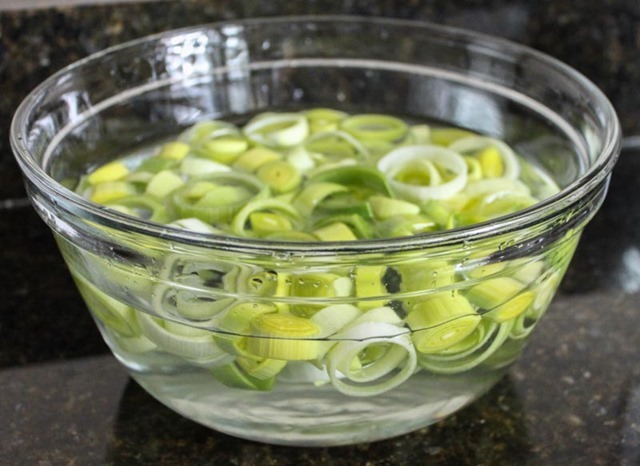 Trim the top and bottom of the stem off, thinly slice into rounds, and then leave to soak in a big bowl of cold water for 10 minutes. It’s impossible to wash a leek before you cut it up so this method allows all of the grit and dirt stuck inside the leek to fall to the bottom of the bowl without a ton of extra scrubbing. Occasionally just toss the leeks around with your hand while they soak. 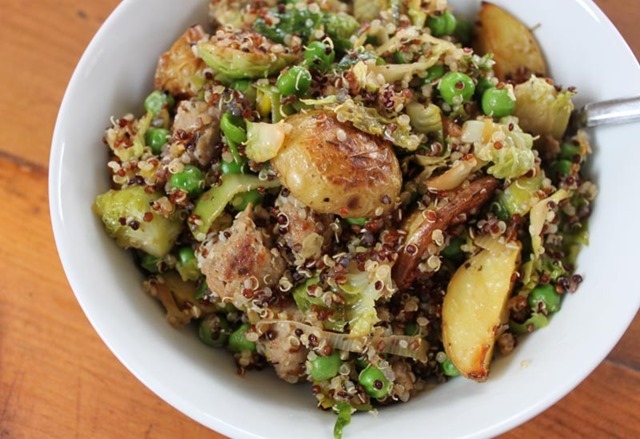 During this time you can also cook up the quinoa and prep the brussel sprouts (wash, trim, and thinly slice). On to the cooking! 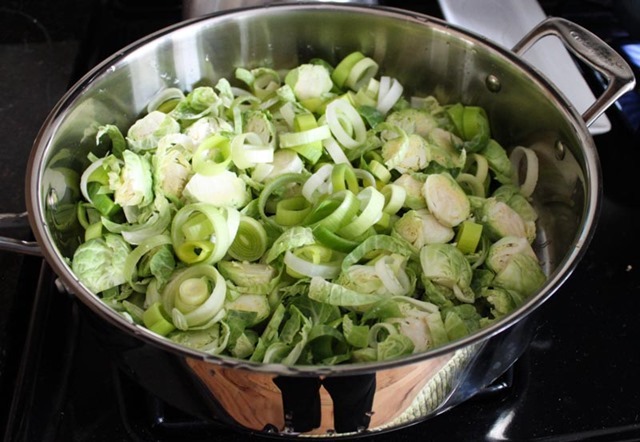 In a large sautee pan add the leeks, brussel sprouts, and 1 tbsp. of EVOO. Cook over medium heat until they start to brown. 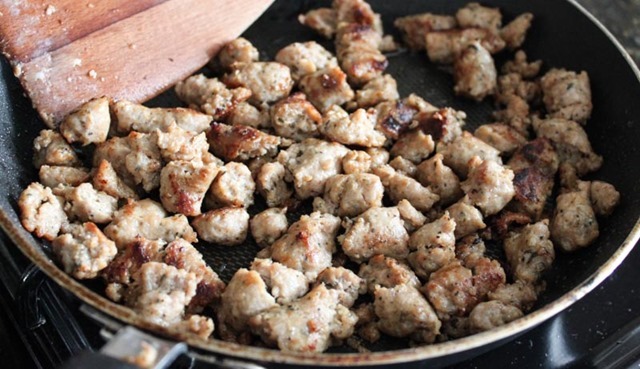 In a separate pan cook up the pork sausage over medium heat until browned (I removed mine from the casing first). 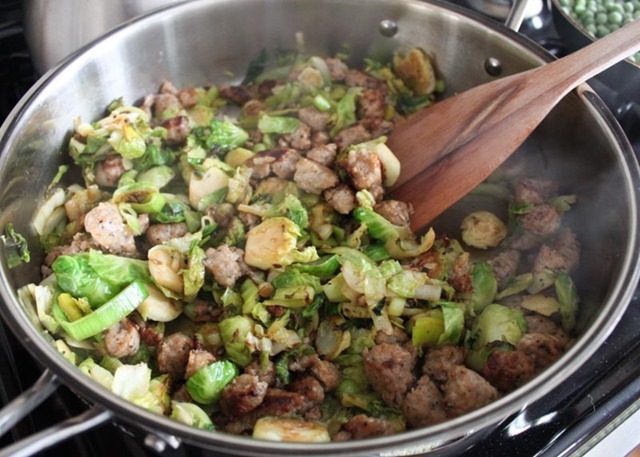 When the leeks, brussel sprouts, and meat have browned, add the meat into the veggie pan. 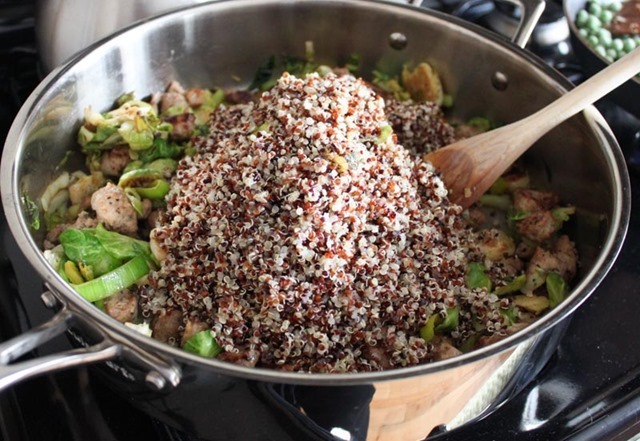 Add the cooked quinoa on top. Stir to combine. 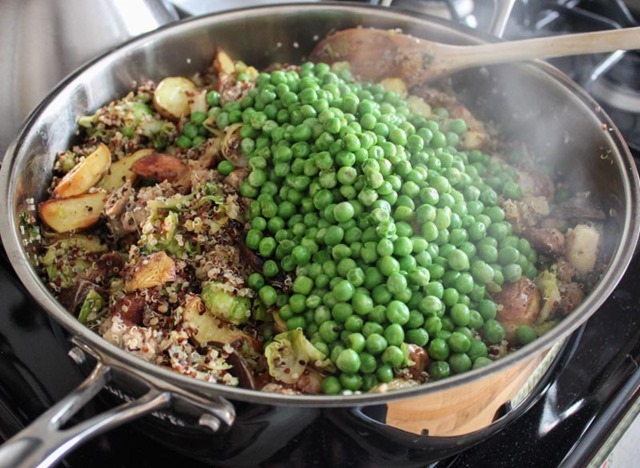 Next add the roasted potatoes and the peas. Stir everything together and cook over medium-low heat for another few minutes. Add additional EVOO here if it feels like things are sticking to the bottom of the pan. After a minute or two, add the Hemp Hearts, spices, and parmesan cheese. Give it a taste and adjust any seasonings to your preferences. This hash is bright from the leek and peas, buttery from the potatoes and parmesan cheese, savory from the pork, and full of great texture. 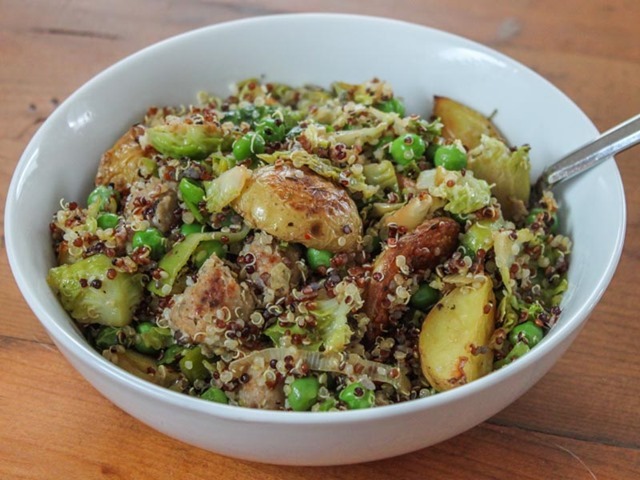 This would be great for any lunch or dinner, or even in a big batch for a dinner party.